Richard Pickering owned the Mississauga-based BHG Media Fleet, a company that was a link between car manufacturers and media looking to drive the newest vehicles for review purposes. 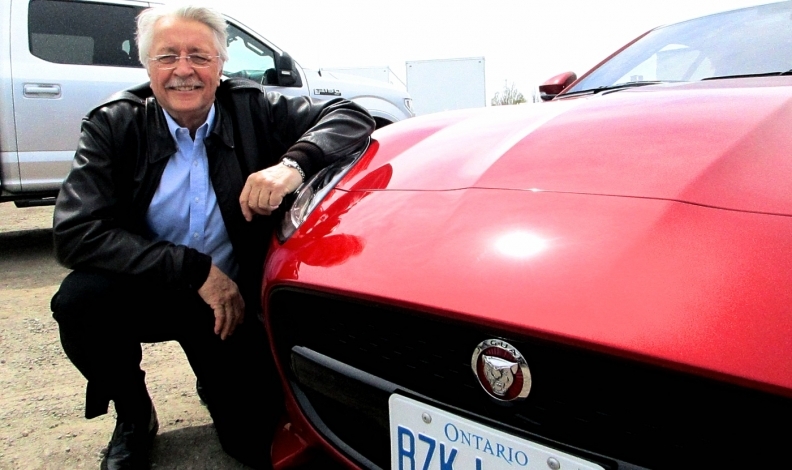 TORONTO -- The Canadian automobile industry is mourning the passing of Richard Pickering, whose lengthy career in the business included working with the Canadian International AutoShow producing classic car displays. Pickering passed away Aug. 7 following a battle with pneumonia related to bone marrow disease failure, diagnosed last fall. He was 70. Pickering owned the Mississauga-based BHG Media Fleet, a company that was a link between car manufacturers and media looking to drive the newest vehicles for review purposes. The company is associated with Jaguar-Land Rover, Ford-Lincoln, Nissan-Infiniti, General Motors, Mazda, Mitsubishi, and Maserati. After working in the restaurant management business for years, Pickering decided in his 40s to take his passion for cars and turn it into a full-time career. He started a company called Beverly Hills Fine Automotive Detailing, and when he found it would be hard to create franchises he focused on the corporate end of business. In 1991, he started working with major Canadian car companies on the auto show circuit, producing an annual display of classic cars at the Canadian International Auto Show. He did that for almost 20 years, the last one in 2010 when he arranged an appearance by the late automotive legend, Carroll Shelby. “I thought that was a good time to draw the line [and retire from show business],” he said in an interview with the Toronto Star in a story about his life in 2016. “I thought it was never going to get better than this one. It gave me a great deal of familiarity with vintage cars and the vintage car community in doing that kind of stuff over a long period of time, in particular having a business card that said: Richard Pickering, Producer Classic Collection, Canadian International Auto Show. That opened a lot of doors. After starting BHG Media Fleet in Mississauga, he expanded his company from virtually coast to coast in Canada calling it MediaFleetCanada.com, making easier for the media to access vehicles for reviews. “He was a wonderful car guy and a fantastic friend,” said Bob Milne, who worked for Pickering for 17 years. His wife of 29 years, Terri Guthrie, said a “party” will take place according to her husband’s wishes. “He was the epitome of courage and fortitude in the last year,” she said. “It was both instructive and educational. He fought right until the end. He was not going to let it get the best of him, but eventually it did.